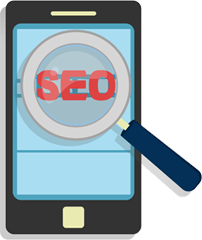 There has been a lot of confusion about when the mobile friendly algorithm will actually be noticeably in the mobile search results - by that I mean, when will webmasters actually see the ranking benefit or decline for going or not going mobile friendly by April 21st. Initially John Mueller of Google said it won't be before the 21st but it doesn't mean it will be on the 21st. Then Gary Illyes of Google said it runs in real time and will be released on the 21st. Yesterday in a Google+ hangout, Mary from Google explained that it will start rolling out on April 21st, although the exact time is not clear, but it also may take a few days to a week to fully roll out and be noticeable to all global mobile searchers. So if it takes some time to roll out, expect things to bounce around a lot in the mobile search results on and after April 21st.